Now here’s a topic that used to be quite simple that lately has become almost overwhelming. Save energy and frustration with this brief tutorial on bulbs. Residentially there are 3 major types of light bulbs; incandescent, fluorescent and LED. Lasting up to 40 times longer than incandescent bulbs, LED bulbs are eco-friendly Wisconsin-style. With no mercury vapor, no harmful UV rays and no headache causing flickering, LED bulbs eliminate the issues of compact fluorescent bulbs and last longer. We started using them in recessed lighting applications where changing a bulb is a major event like vaulted ceilings. We simply swapped out LED bulbs with incandescent bulbs once, and never had to change burned out bulbs again. That got our attention! And, the initial cost of quality LED bulbs pay for themselves over time because they last for years. Here’s what you’ll need to know to make the switch to the right LED bulbs for your home. What’s Lumen? It’s simply a description of the brightness of a bulb. We used to think in “watts” and now it’s “lumens.” LED technology saves such an incredible amount of energy its worth thinking in this new way. This chart will help you find the LED bulb that’s similar in brightness that you’re looking for. On January 1, 2012, light bulbs as bright as a 100 watt traditional incandescent bulb could use no more than 72 watts of electricity. 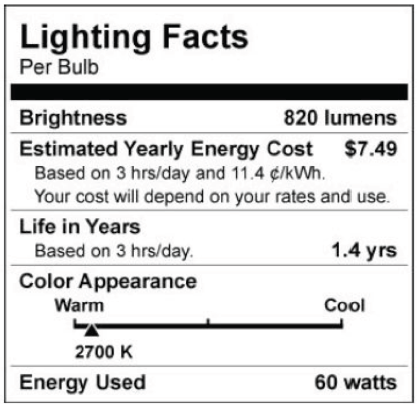 On January 1, 2013, bulbs as bright as a current 75-watt incandescent could not use more than 53 watts. On January 1, 2014, the standard was applied to 60 watt bulbs, which cannot be use more than 43 watts and 40 watt bulbs cannot use more than 29 watts. Bulbs under 40 watts, three-way bulbs, appliance bulbs, and a few other specialty types are exempt. By 2020, a 200% increase in efficiency is required for all light bulbs! To meet this challenge, manufacturers have essentially developed a highbred halogen/incandescent bulb that will have all the outward appearances of our old standbys. We’ll let you draw your own conclusions about the cost effectiveness of the new requirements. In offices and stores across America, we work and live under fluorescent lighting. Known originally for their exceptionally long life, low energy usage, annoying buzzing, and migraine inducing flickering, compact fluorescent’s (CFL’s) have improved dramatically over the years. Using a little more electricity when they are turned on, they take about 75% less energy than incandescent bulbs once the electricity gets moving through them. It takes anywhere from 30 seconds to 3 minutes to kick start a CFL, and that is why they become brighter as they burn over the first minutes. 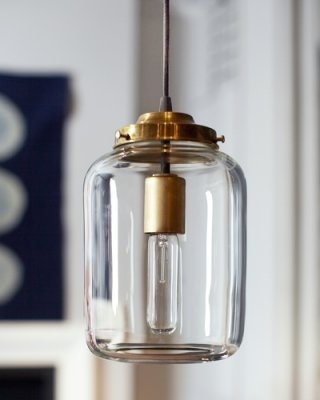 CFL‘s now come in an array of warm and cool white light so you can find a type natural to you. How do you choose the right light? Light color is measured on the Kelvin scale (K). Lower numbers mean the light appears yellowish and higher numbers mean the light appears white and even blue. CFL ballasts have improved with the use of electronic ballasts and no longer make that buzzing sound. Maximize the life of the bulbs by using them where the lights are on a lot: exterior home lighting is a great use for CFL. With enclosed exterior lighting fixtures, left on for security, the bulbs burn inexpensively for months and even years. Remember to recycle these bulbs; they contain mercury, which is harmful to the environment. There are some excellent resources to help you learn how to compare light bulbs.